Cote Azur True Star Men is a Aromatic fragrance for men. 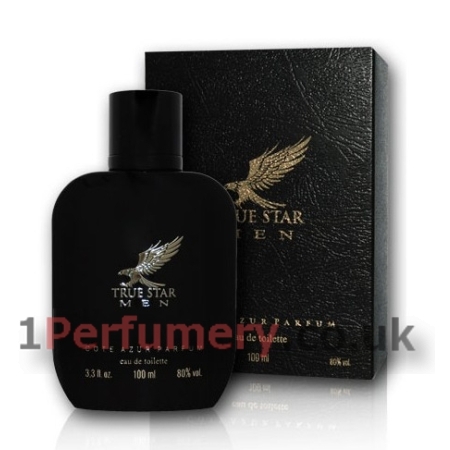 Top notes reflect the bright and fresh lemon juice mixed with nutmeg, bergamot and galbanum. The heart emerges with violet, geranium and clary sage, while the base notes reflect masculine accords of leather, moss and patchouli.